Save the date and Start 2019 off right by recycling your unwanted, broken and unused electronics. 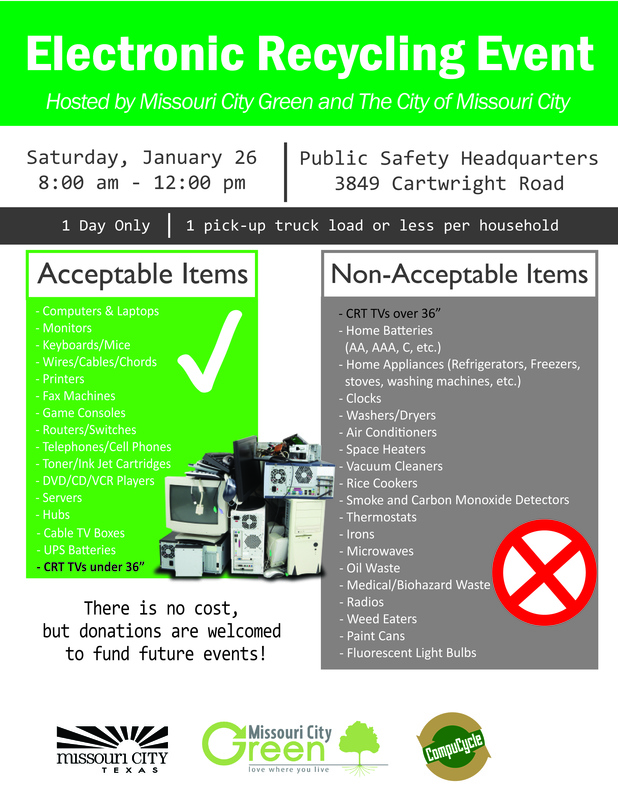 Missouri City Green, in partnership with the City of Missouri City, will host our 6th Annual Electronics Recycling Event. Free event. Donations will be accepted to fund future community wide recycling events. 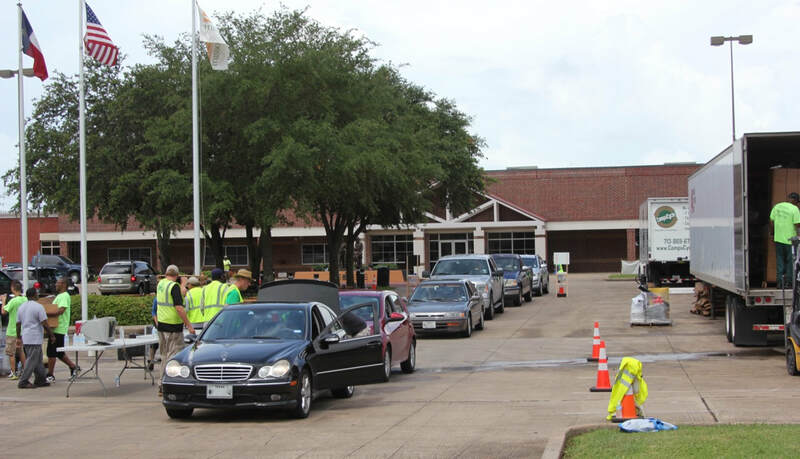 Teams are invited to participate in the 12th annual tree planting competition for the Greater Houston Region. Teams can have 11 persons per team (1 captain, 10 planters) and each team member must bring their own shovel. Each team will plant 100 trees properly while being timed and judged. The event is $50 per team. Lunch and a T shirt is included for all participants.